The single location is located in the south-western part of the Binger Rochusberg. It will be west of the Near, north of the locations Schlossberg-Schwätzerchen and rose Garden, as well as bounded to the east of the location Bubenstück. The first written mention under "Scarlachen" dates back to 1248, when the monastery Eberbach the situation acquired by a barter. In 1848 Scharlachberg was one of the highest classified locations in Germany. 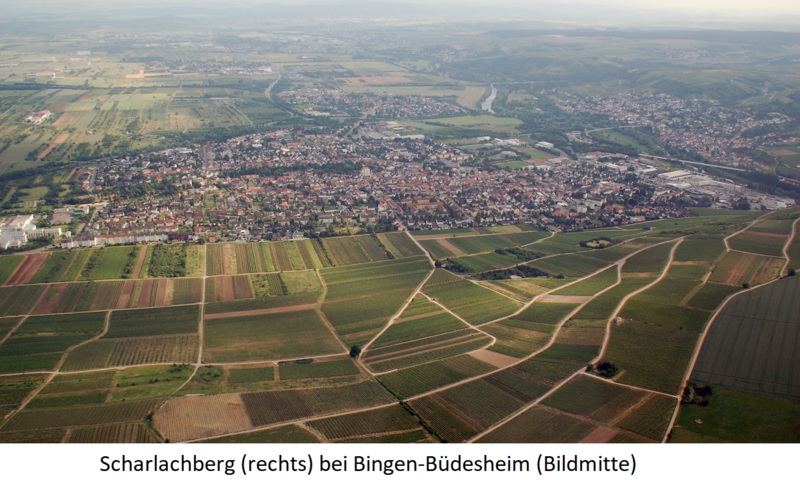 The wine-growing pioneer Johann Philipp Bronner (1792-1864) wrote in 1834 published book "Viticulture in the province of Rheinhessen, in the Nahethal and Moselthal" in superlatives about the local wine. A part of the scarlet mountain became after Land Consolidation to the nature reserve. In 1898, the cognac distillery was opened in Bingen Scharlachberg GmbH founded to benefit from the name. The south-facing vineyards in 110 to 200 meters above sea level with 5 to 60% slope cover 25 hectares of vineyards. The soils consist of quartzite and slate weathering rocks with in the upper class Eisenoxydanteil, which led to the eponymous irregular red color of the situation. The water seeps away quickly and is hardly stored. The vines therefore need to be on the lookout for water and nutrients deep roots; on water stress is rare. The quarzite, which consists of 99% silicon oxide, can store the heat extremely well. 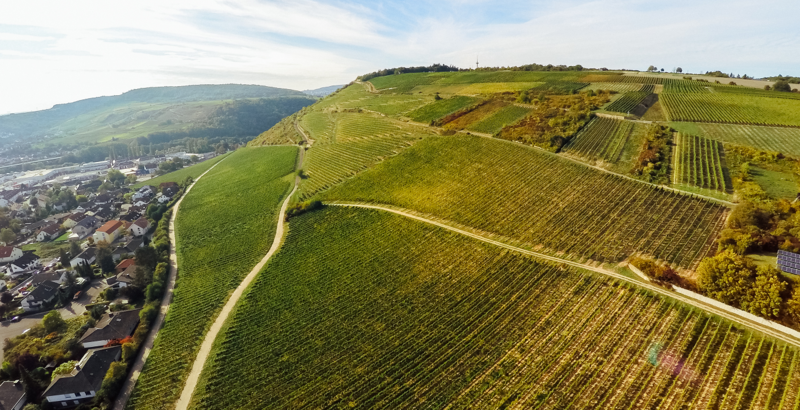 The wind blowing steadily through the valley has a positive effect, as it makes the vineyard already in the full morning sun when in the Rhine Valley still hazy fog lie. This page was last modified at 22 November 2018 at 16:53.